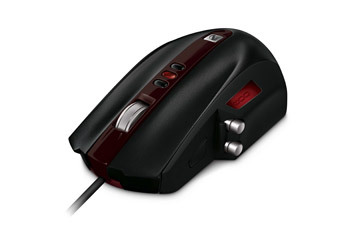 The GE Dual Scroll Mouse has a horizontal scroll wheel and a vertical one. Not as cool as the MightyMouse, but more ergo. Saw it on Jolene’s desk this morning.